Stay in a double room with breakfast and car parking included in the price. Book directly and get 10% off on regular price. Casa Nannina Bed and Breakfast is located in the town of Meta – at the beginning of the Sorrento Coast – in a small, picturesque hamlet called Casa Starita, just 4 km from Sorrento and 12 km from the Amalfi Coast. This is the gateway to all the major tourist sites in the area, as well as the perfect place for anyone who just wants to sit back and get away from it all. 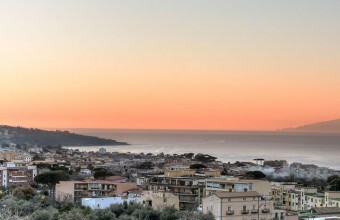 Our house, surrounded by olive and citrus trees, faces the Gulf of Naples and the Sorrento coast, which can be seen in the distance. Surrounded by nature and calm, it is also quite close to the center of town and the beaches, which can be easily reached on foot. The house is situated along a narrow lane, 20 meters from our free private guest parking lot located along the main road. We can’t wait to welcome you to Casa Nannina B&B, where rooms of old-world charm meet modern hospitality. 6 rooms with wooden furniture and antiques. Not forgetting the comforts of today. Each room is dedicated to the environment of the past. All the places to visit within easy reach from the Bed and Breakfast Nannina, which represents the ideal starting point for excursions. The B&B is located in historical alley of Meta, a short walk from the center and from the sea. 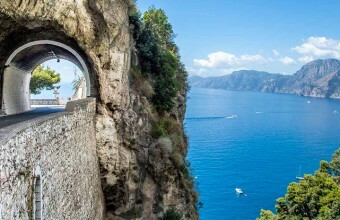 Great location for a quiet stay, handy for visiting Sorrento, Capri and the Amalfi.